As part of my screening process, I look at the list of dividend champions every month. I have been doing this for a decade. I believe that investors should focus on tools within their control. These things include their ability to stick to a strategy that will help them reach their goals, and save and invest money regularly. This is the recipe for successful dividend investing in a nutshell – stay the course, keep adding to your dividend machine and reinvest dividends in the accumulation phase. Over the past two months, prices of many securities have finally started going lower. This is great news for those who are in the accumulation phase. 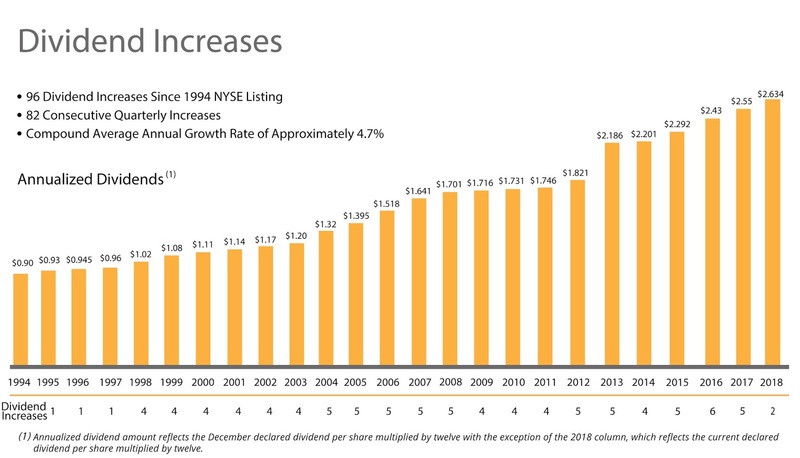 This is because lower prices paid for stocks result in higher dividend yields and higher expected future returns. Therefore, the investors today should be praying for even lower prices. If you are retired, your only concern is the safety of the dividend payments, and enjoying the fruits of your labor. I applied my entry criteria to the list of dividend champions, and came up with a list of companies worth further research. My next step was to briefly review the trends in fundamentals for each of the companies, and taking out those that didn’t seem promising enough. "W. P. Carey has delivered consecutive annual dividend increases since going public in 1998. We are proud of our long-standing track record of providing shareholders with stable and recurring income generation across all market cycles,"
In September 2012, this dividend achiever converted from a partnership form into a real estate investment trust. After this transformation, as well as merger with one of its privately managed REIT, dividend growth has been spectacular initially.Subsequently, it to slowed down and I expect it to be slow for the foreseeable decade. Altria Group, Inc. (MO) manufactures and sells cigarettes, smokeless products, and wine in the United States. 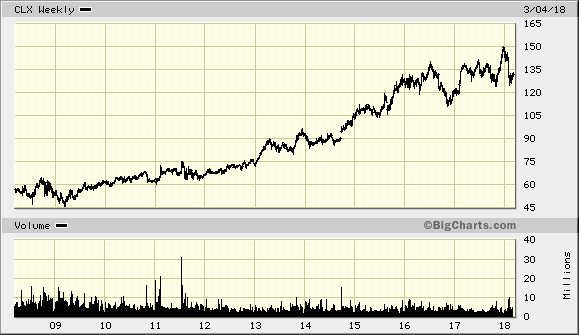 The company is well known in dividend growth investor circles, and is a common holding for many of us. Altria delivers dependable dividend growth and high total returns, and has been doing that for decades. Altria raised its quarterly dividend by 6.70% to 70 cents/share just last week. 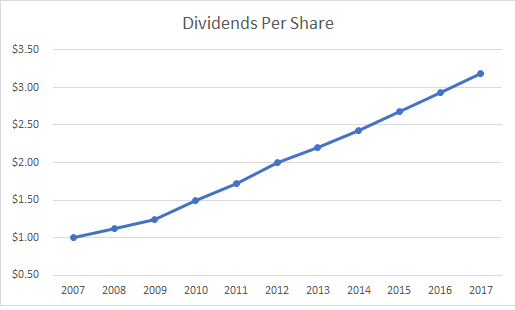 This was the second dividend increase over the past year, after Altria hiked its distributions by 8.20% to 66 cents/share back in August 2017. 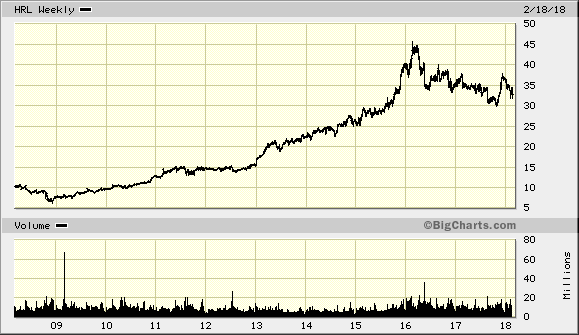 Altria is a dividend champion, which has rewarded shareholders with a raise for the past 48 years in a row. Today’s dividend increase reflects Altria’s intention to return a large amount of cash to shareholders in the form of dividends and is consistent with Altria’s dividend payout ratio target of approximately 80% of its adjusted diluted earnings per share. Altria has increased its dividend 52 times in the past 49 years. The company is hiking the dividends, because its tax rate is going lower. As a result, its earnings per share are increasing faster than expected, which leaves more room for further dividend increases to be shared with long-term shareholders like us. For some strange reason, Altria was booted from the dividend aristocrats index in 2007, which is why I prefer to focus on the dividend champions list, maintained by David Fish. The company has managed to almost double dividends per share between 2009 and 2017.